We had big plans for our first Autumn Grey Christmas blog post. It was going to be all about how we celebrate Christmas, SoCal style. Because around here, it's not uncommon for it to be in the 70's on Christmas day. But then the weather threw us a little curveball and as of a few weeks ago, it has actually been cold around here! Not the kind of cold most are used to at Christmas time, but cold by Orange County standards. And we're totally embracing it. So we've decided to save that post for next Christmas. So until then, we want to wish you all a very Merry Christmas! 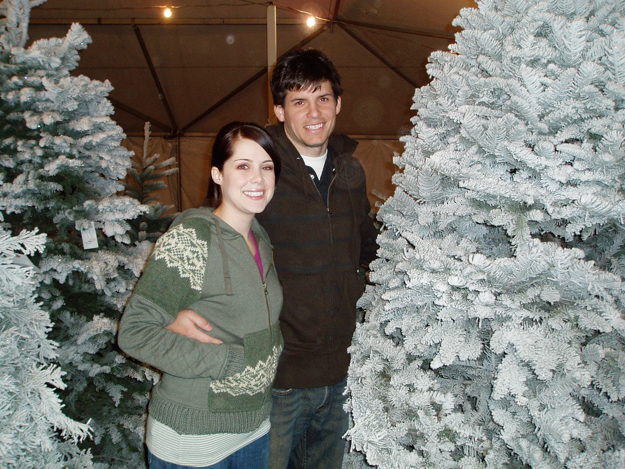 Here is a picture of us picking out our very first Christmas tree as a married couple...the ghosts of Christmas past!